Mr. Elmer Fredrick Pugh, Jr. "Fred" was born September 2, 1959 in Richmond, Indiana. He passed away January 18, 2017. Fred was the son of the late Elmer Fredrick Pugh, Sr. and Donna Ann Pugh. He is survived by his wife Teresa Keen; daughter, Cheyenne Pugh; son, Dustin Pugh; brother and sister, Cheryl and Clinton and niece Brandy. Fred moved to Nashville, Tennessee when he was 15 years old. Fencing was his life's work. In his free time he loved working on cars and fishing. Some of his favorite loves in life were spending time with his kids and teaching them new things. He loved learning about the Cherokee Indian culture as he was a full blood Cherokee Indian. 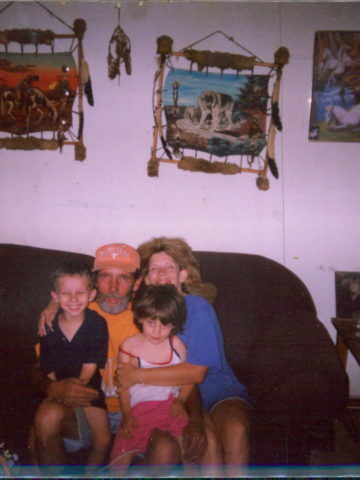 He loved collecting dream catchers which he has passed that down to his daughter Cheyenne. A Memorial service is planned for 3:00 p.m. Monday, February 2, 2017 at Cole & Garrett Funeral Home in Goodlettsville with Bro. Charles Anderson officiating. Visitation will be one hour prior to the service. I loved Fred as my father. He will be missed so much.